The death of the pub quiz? 500 years ago, during the Renaissance, it was possible for one person to know pretty much everything across a wide range of subjects. 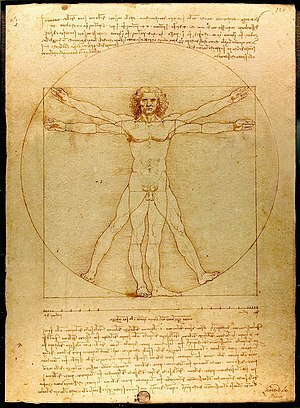 Leonardo da Vinci, for example, was a painter, anatomist, sculptor and inventor, designing objects as diverse as an early helicopter and an adding machine. A little later polymaths such as Isaac Newton were leaders in fields as different as mathematics, physics and optics, while still believing in alchemy and experimenting to try and turn lead into gold. In the late 20th century the place of the Renaissance man shifted again, moving from laboratory and academia to the hallowed pub quiz. This was the foremost place for polymaths to show off their knowledge, particularly if their family and friends refused to play Trivial Pursuit with them anymore. But, in the same way that the days of a da Vinci or Newton are gone, I fear that time has been called on the pub quiz. And it is all down to technology and the way it is shaping how we learn and retain facts/useless information. Nowadays we can access all the knowledge in the world instantly with a smartphone and Google (except in my village, which only has 2G coverage). I remember as a ten year old memorising the capital cities of Europe (including mastering the trick question of what the capital of the Netherlands was), but am now sorrowfully realising that I may have been wasting my time. This means that rather than priding themselves on learning and retaining information, my children are much more focused on how to find it in a hurry. While this is good in a way – there’s no way you can know everything, so why try? – it is also disheartening in others. We relate to other people through shared experiences – whether that is knowledge of the same events, watching the same TV programmes or attending sports matches. And if you erode that – such as through the explosion in viewing choice, the plethora of pay-TV options and rising ticket prices at sports events, you take away much of how we relate to others. Why is that important? Essentially because mankind is a herd animal, and a lot of our choices are not based on being rational, but fitting in with those around us. So take away our shared offline experiences and we won’t know how to behave, meaning we will start trying to find new herds to potentially join online. At its most extreme this can lead to the bandwagon jumping you see on Twitter, when everyone tweets/retweets on a particular topic or trend, without thinking, or at its worst joining radical organisations that provide a sense of belonging, however misplaced. It also provides opportunities for marketers – good and bad. Marketers can position their brands as essential to the lifestyle and experiences we want to share, but this opens them up to charges of psychological manipulation if they are simply using PR and are not genuinely delivering what they promise. It is a balancing act – consumers are both more susceptible and more cynical at the same time – and are also apt to forget your brand in the wider noise if you don’t keep communicating with them. So, while pub quizzes will never be the same, the need for shared experiences remains: as humans we should remember this and ensure that we find them in the physical as well as the online world. And that means making sure we still retain enough useless trivia to interact with those around us – and of course to dominate at Trivial Pursuit.